Join the GSA as we participate in the Sussex Club Open House and we show off our office on the fourth floor, room 423. 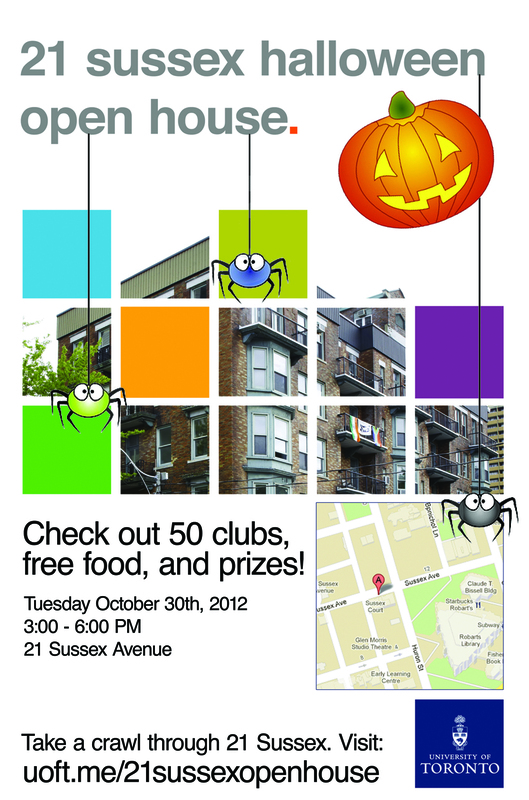 Get to know the 50+ clubs and offices housed at 21 Sussex Clubhouse during our annual Open House! This year, we’ll be having a Halloween themed event for all University of Toronto students. There will be prizes and free food!